China is the largest mobile game market in the world, making $37.9 billion in game revenues, with over 619.5 million players during 2018. 2016 is likely to have been even bigger. Games developers are eager to take on this huge, highly lucrative market but a challenging one with its own quirks. Mobile is the dominant internet access device in China with 92% of China’s online population accessing the internet via smartphone. In 2016, it was estimated that 71% of the Chinese online population is classified as an ‘occasional gamer’, making it the largest in the world. Mobile gaming is popular but it’s a very different mobile market landscape compared to other countries. For a start, Android dominates. And the app distribution network is also highly fragmented. Whilst the majority of western Android mobile users tend to download new apps from Google Play, China’s market has a greater number of app stores on offer. Local telecom players such as Huawei and Xiaomi offer their own stores, and other major software players such as Baidu and Tencent also have popular app stores. In recent times Tencent has dominated, offering some of the highest grossing downloads. Overall it’s thought there are perhaps 200 app stores on offer, with around 60-70 key players. This makes it harder work to get your gaming app out there. In addition, stores may insist that developers customise their offering to that site so the app is slightly different in each store. This adds significantly to development costs and time to release. It’s also essential to mention the issue of censorship. Regulations now exist insisting that any mobile game needs to be approved before it can appear in app stores. It’s thought this is likely to cause release delays of up to 3 months. One of the consequences of this is that foreign companies may find it more essential than ever to have a local partner to help with the release process. Developers also face a threat of imitation versions of their app appearing before they’ve had a chance to get them into the stores. Once this has happened, app stores aren’t always very enthusiastic about removing the copycats on your behalf. If the imitator is successful their revenue stream is assured and they aren’t prepared to intervene. Developers in this position may find they have to negotiate with over 60 app stores to get imitators removed, which can be a real nightmare. It’s a significant threat to scaling the original version of the game. The good news is that China is a hungry market for new digital developments, particularly mobile games. 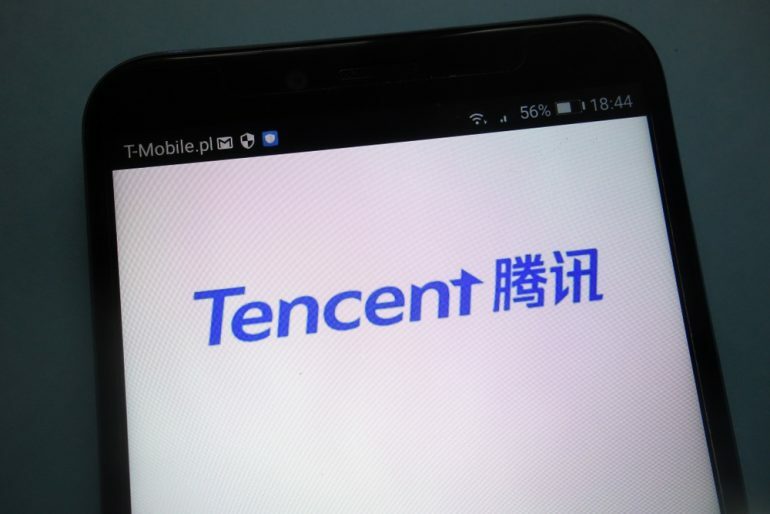 Major publishers such as Tencent have been prepared to invest in new games that it thinks will appeal to their audiences. Editorial credit: Piotr Swat / Shutterstock.comThis investment comes with the proviso that the game is adapted, either by localising it to the specific marketplace or perhaps focusing on monetisation aspects and game mechanics. Having a partnership with a major publishing platform is often a better guarantee of success than battling to get into as many stores as possible. Having a major partner is highly advantageous in terms of getting the game out there, because of the insight it will offer into analytics and the chance of having a broad platform on which to reach an audience. Your chance of catching the eye of a major publisher such as Tencent would be to start considering your game’s global appeal, particularly in China’s market, right from conception. China’s top games tend to already have a global presence, but many have been adapted specifically for the Chinese market. This includes Castle Clash, Clash of Kings, and Taichi Panda, all of which have all been localised successfully. Other top gaming apps have a basis in existing culture, such as popular novels or films, which seems to help with success. And you’re more likely to achieve scale with a free-to-play business model. China’s consumers are reluctant to pay for their mobile games, so in-app purchases and ad revenue are your best monetisation options. Fraudulent user accounts and fake installs mean it’s often hard to trust your data. It’s important to aim for quality rather than quantity of the users you acquire. Your aim is to acquire higher value users with a longer lifetime in-app spend, rather than ones that download but never use the app. You should scale with caution. Getting a good user acquisition partner is one way to achieve quality growth that provides users with higher lifetime value. It’s rare that newcomers succeed in tackling this complex, fragmented market effectively on their own when it comes to advertising. Whether you proceed with or without a knowledgeable local partner, you need to focus on using data to target the right kinds of users from any ad spend and be mindful of ad fraud. Ad fraud is considered a major problem in China, where tricks including using robots to refresh ads, and auto-reloading the ad to inflate views. In addition to ad fraud, you may want to be mindful of brand safety. It’s not that uncommon for advertising platforms to seek to inflate clicks by placing ads next to pornographic content, which is likely to discredit your brand. The growth of programmatic buying seems to be creating a breeding ground for ad fraud and jeopardising brand safety. There’s also a general lack of transparency in advertising standards, including low accountability about important elements of digital advertising such as view counts and placement. But nervousness about ad fraud and brand safety can hold brands back: some western brands have been accused of lacking aggression in digital advertising because they are too conservative and fearful. China is a highly competitive market for new mobile games, and the sheer number released daily means it’s hard to gain traction even if you have a great game. Localisation and approaching the market in a well-informed manner – or better yet, using a partner who is already established in China – remains key to success here.